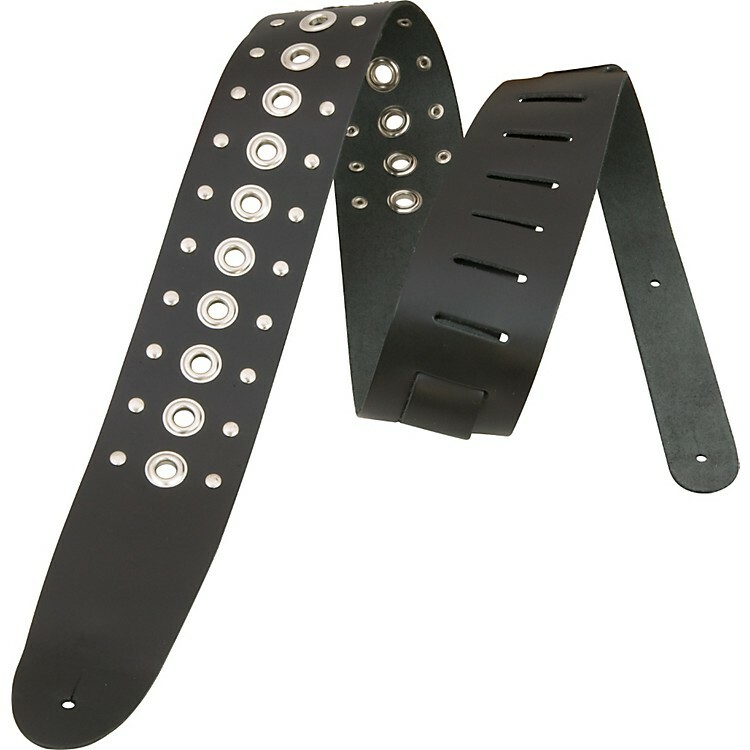 A black leather guitar strap with a row of silver grommets between two rows of tiny studs to satisfy your rocker style. The Planet Waves leather guitar strap with grommets and studs has a row of open, circular silver grommets between 2 rows of tiny, circular studs on high-quality black leather that's smooth and soft to the touch. The strap's weave-through adjustable tail (also in black leather) helps you get your guitar in just the right position. Music should have attitude and so should your guitar strap. Dimensions: 2-1/2" W x 43-31/2" to 52" L.
If you play metal, punk, or any other genre requiring black-on-silver style, order this guitar strap for your axe today.